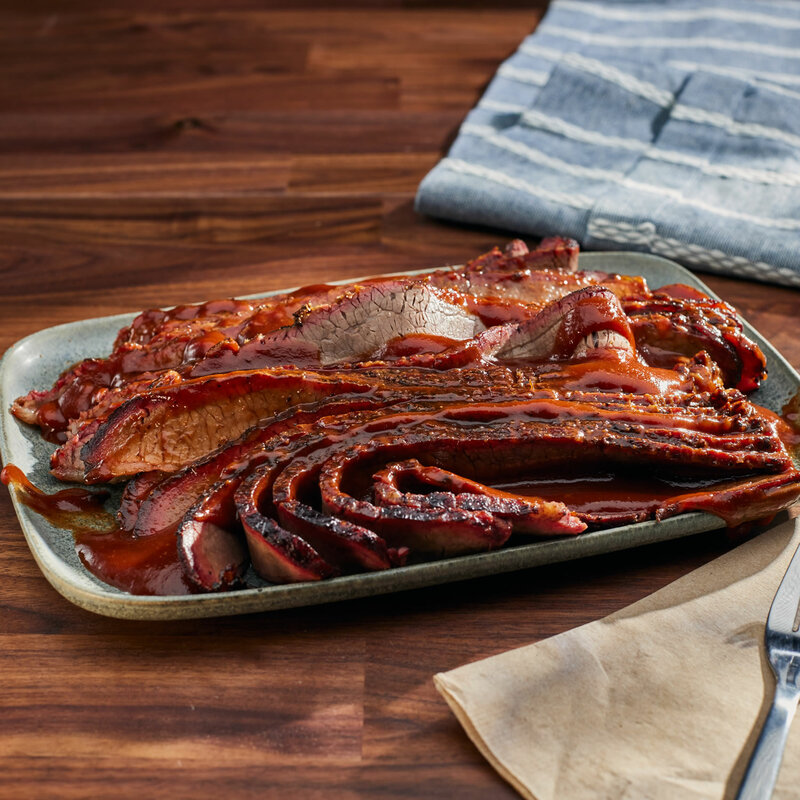 Slowly roasted over native hickory for 12 full hours, our juicy premium Brisket is fork-tender and full of rich flavor. Lightly sauced and expertly sliced for serving convenience. 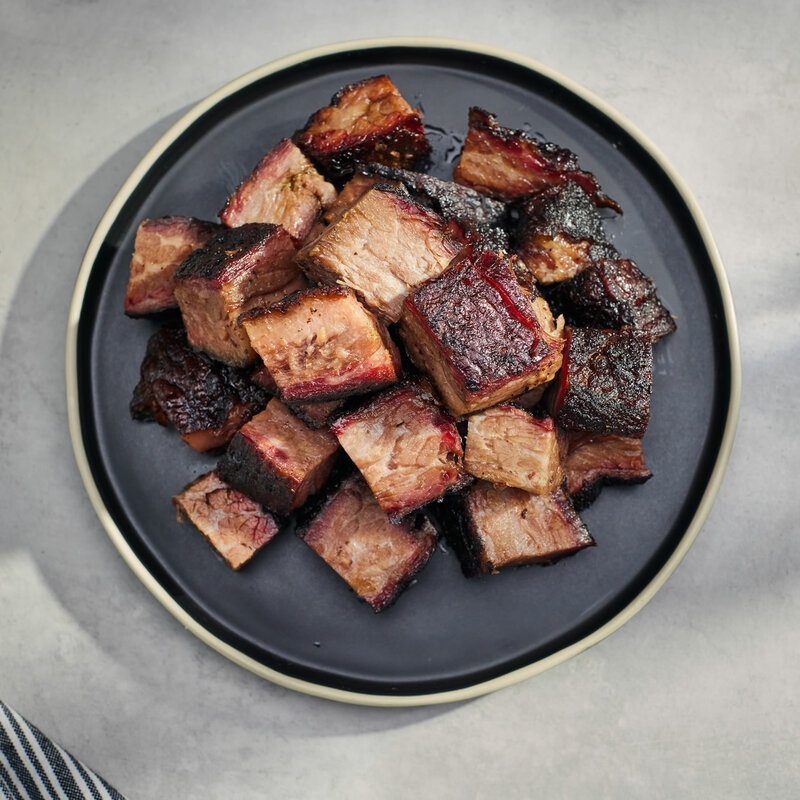 Tender, marbled and full of flavor, this brisket is as good on the end of your fork as it is in a bun in your hands. Best BBQ brisket in MO. KS. & Florida. Great brisket, Burnt ends,Poor Russ & Cheesy potatoes in 3 states. Onion rings are the industry standard. Worth a drive to Martin City. Great service, casual ambience & lots of folks licking their fingers. Took relatives from Fl. 6 years ago. Since then we send Jack Stack to them; and they send Key West fish dip. Floridians are snooty but always request more. Go figure. The brisket was tender and tasty. I ordered it to surprise my daughter in law. My son and his wife met while they were living in Kansas City The moved to the Charlotte NC area 2 yrs ago. The NC style BBQ has been disappointing for them. All of us in the family loved the brisket! We will be ordering again for sure. Great brisket! Better than doin it yourself! I SEND BBQ FROM YOU TO MY BROTHER IN LAW IN CA EVERY FEB FOR HIS BIRTHDAY. HE REPORTED THAT THE BRISKET WAS TENDER, THE RIBS WERE DELICIOUS, AND THE BEANS ARE THE BEST HE HAS EVER HAD. GREAT GIFT THAT IS PERFECT YR AFTER YR. 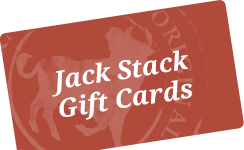 I have had Jack Stack both at their original restaurant and shipped to multiple places when I go on vacation. I had it shipped to my house again for a gathering and did not disappoint. Arrived on time and was excellent as always. I lost a bet over the AFC Championship game so paid up with an order of Jack Stack BBQ. This brisket went to friends in New England. They were shocked and awed and said it was the best bbq they've ever eaten. I feel the same way and am lucky that I can indulge in it any time I want. I lived in Kansas City for 13 years and was a regular Jack Stack customer. I have to say I was skeptical that the shipped out BBQ would be as good as the BBQ you have prepared for me when driving long distance. 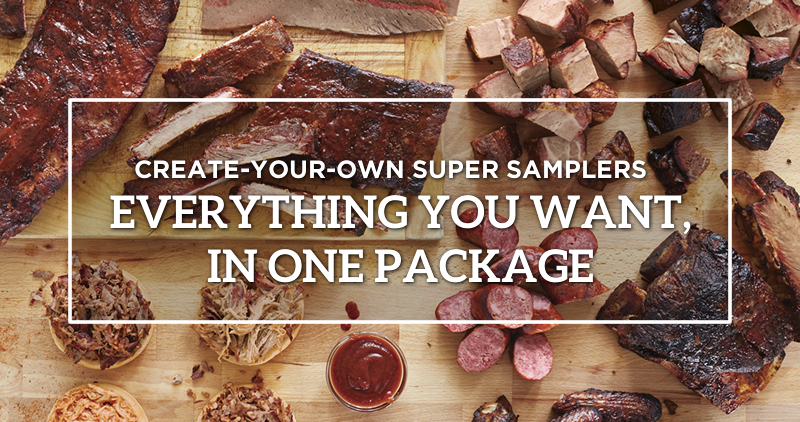 We followed the directions as listed on your brochure and we were absolutely blown-away at how identical to taste, juiciness, and texture the shipped BBQ was. Even more remarkable was how delicious the Burnt-Ends ordered on the side were. We are extremely satisfied and can't wait to place our next order next time we have a gathering of friends. Thank you!! If I want to be a hero or make an event special, I bring on the Jack Stack. This time it was to celebrate my grandson's birthday. The pit beans, spare ribs, and sliced brisket were delivered exactly on time via Fedex and frozen rock solid. Cryo packing ensures there is never freezer burn or other degradation during shipping. 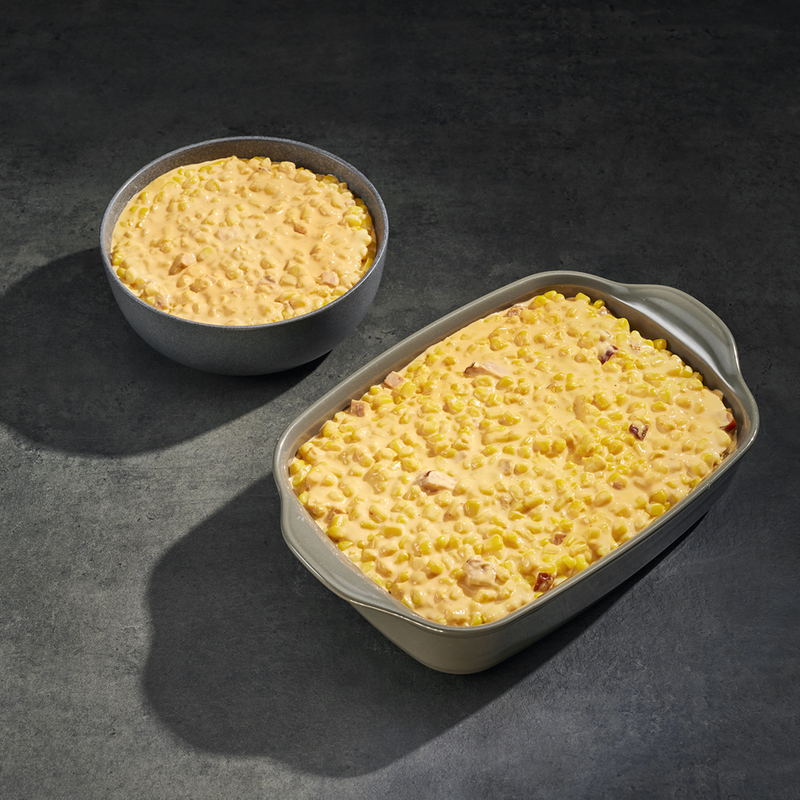 Reheating is a breeze following thorough directions and I can't distinguish the food from restaurant fare - minus the great service and fun atmosphere. 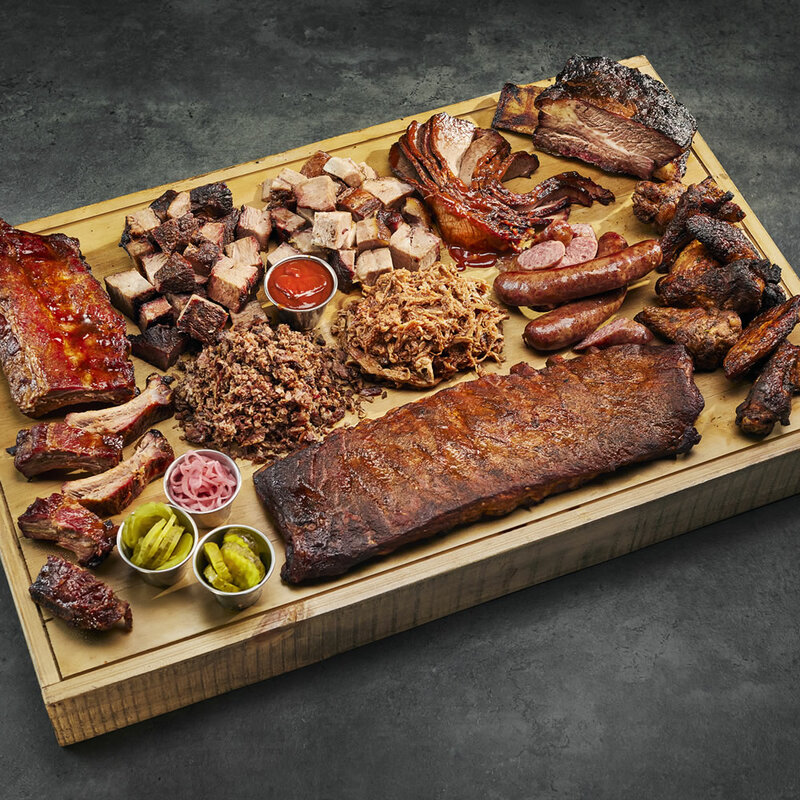 I've sampled BBQ interpretations across all regions, but never found anything to equal Jack Stack. Since I'm unapologetically biased, you may want to take that into into account while reading my review. The meat was melt in your mouth delicious!! Can you say "brisket done to perfection!". Jack Stack is the Best BarBQ and the meats are at the excellent level. Shipped from KC to our dinner table and loved by everyone. First class operation. Flew to KC just for Jack Stack... months later, had brisket and wings shipped to Nashville. Yes... it's THAT good! Disclaimer: I grew up on Kansas City barbecue, specifically Smokestack/Jack Stack and I'm unabashedly biased. I live distant now (Oklahoma), because of kids and grandchildren, so we can't easily enjoy the amazing cuisine and service locals do. The good news is we are able to address our Jack Stack addiction via home delivery. The following comments concern my order of November 21, 2018. I wanted to give my family a treat different from the usual Thanksgiving fare and it was a smash hit. 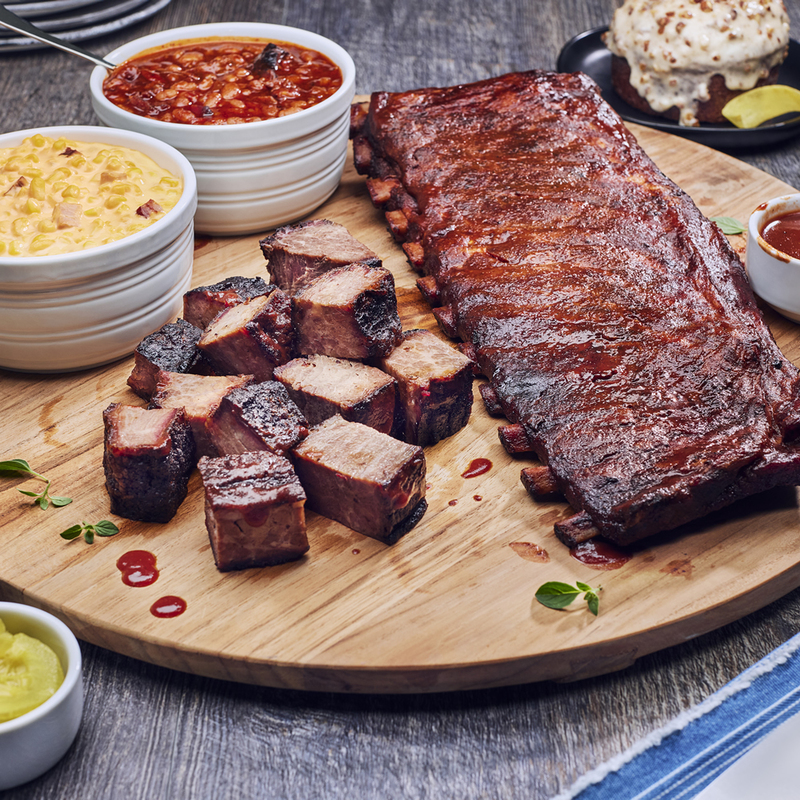 Sliced beef brisket, baby back ribs and baked beans were delivered on time and after warming, were indistinguishable from our restaurant table experience. Our order was delivered overnight by Federal Express. Everything was frozen rock hard on ample dry ice in a nice Styrofoam cooler inside of a heavy corrugated cardboard box. 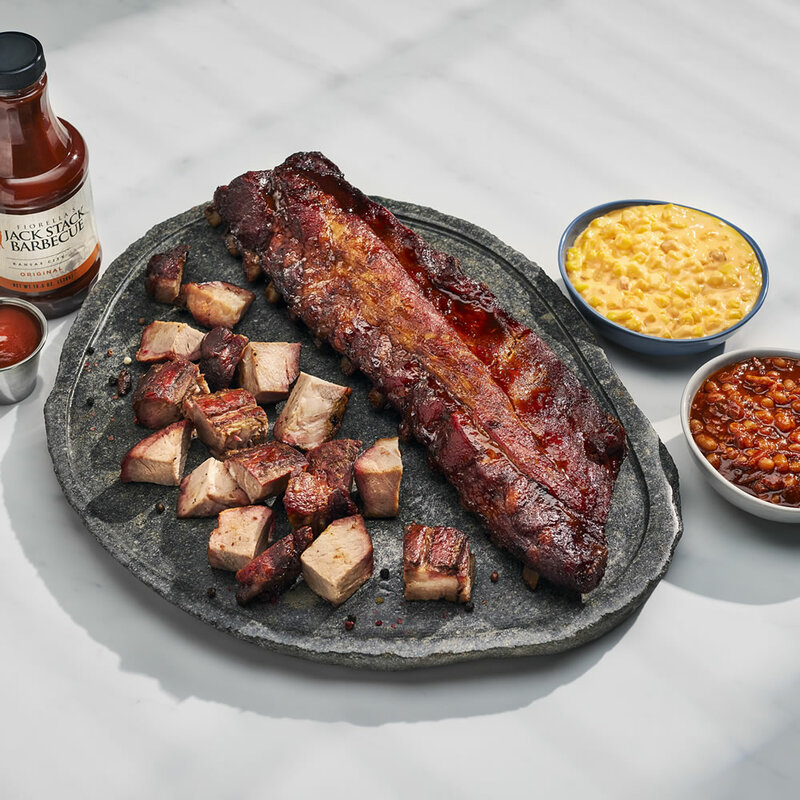 The baby back ribs and sliced beef brisket were cryo packed in heavy duty wrap with generous amounts of Jack Stack original barbecue sauce. The beans were in a nice heavy duty white plastic container and could have been served directly from it. 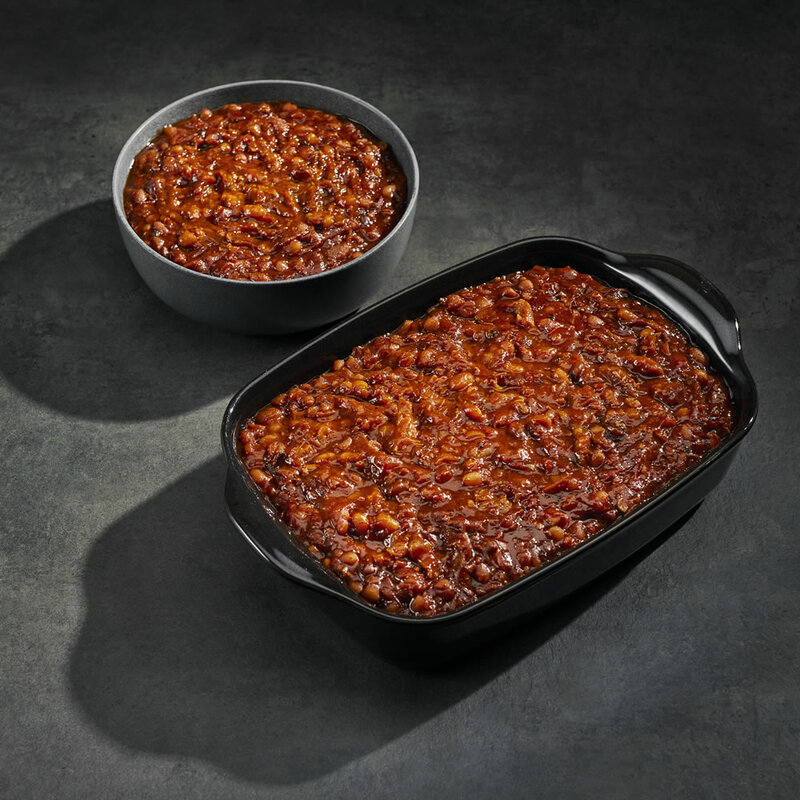 FYI, Jack Stack baked beans are caviar for barbecue lovers. I have always held that Jack Stack restaurant service and experience were superb, but the website, delivery service, and phone support are of no less quality. I used to count on the restaurant to entertain corporate clients, for family celebrations, and just a casual treat. Now, I can rely on nationwide delivery for the same experience. Thanks Jack Stack. We look forward to many more deliveries. I've ordered the brisket every time I've placed an order, and love it! It's so tender you don't even need a knife! The brisket, and the baked beans will continue to be my ""special events"" orders for a long time to come!